For the first time, the Australian Signals Directorate has revealed details of its “offensive cyber” operations. In a major speech today the ASD’s director-general, Mike Burgess, outlined details of the agency’s participation in Australian Defence Force (ADF) operations against Daesh in the Middle East. Burgess’ speech is a remarkable moment in the evolution of the ASD and follows an address by the director-general in October that he described as a coming “out of the shadows” moment by the agency. Earlier this month the ASD for the first time revealed details of how it decides whether to withhold details of a security vulnerability its employees have discovered. The increased openness by the agency follows its transformation into an independent agency sitting within the Defence portfolio. That transformation was in part motivated by the need to compete with the private sector to recruit individuals with the skills the ASD requires for its operations. The government in late 2016 first detailed the ASD’s role in offensive operations against the terrorist group. Earlier in 2016 the government had confirmed that the ASD had an “offensive cyber” capability. 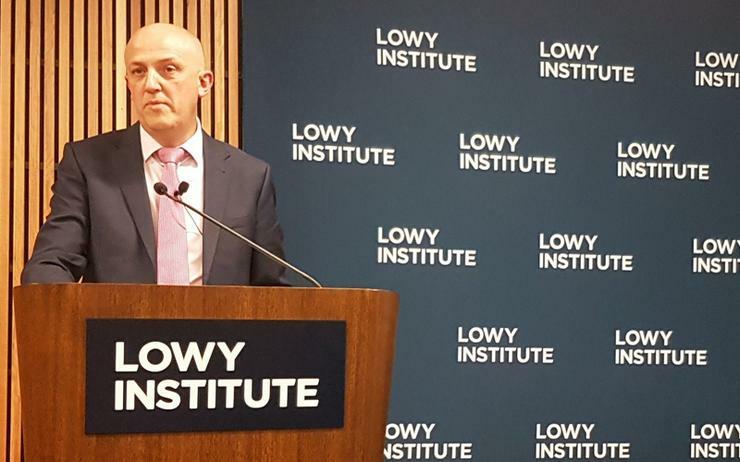 “At the height of the fight against Daesh, ASD – working to the direction of the ADF – helped shaped a critical battle,” Burgess said in remarks prepared for a Lowy Institute event today. “The terrorists were in disarray and driven from their position – in part because of the young men and women at their keyboards some 11,000 kilometres or so from the battle,” Burgess said. Although the impact was almost instantaneous, that operation took “weeks of planning,” the ASD head said. The operation was in support of and in coordination with military manoeuvres on the ground. “This operation marked a milestone for both Australia and our coalition partners,” Burgess said. “It was the first time that an offensive cyber operation had been conducted so closely synchronised with the movements of military personnel in theatre. “We locked the terrorists out of their servers and destroyed propaganda material, undermining Daesh’s ability to spread hate and recruit new members,” he said. One such case involved a sophisticated effort to prevent a man from joining and fighting for a terrorist group. An ASD team included linguistic, cultural and behavioural experts, and was led by a young woman who is a “science graduate turned covert online operator”. “ASD tracked down and reached out to the man over the Internet,” Burgess said. “Pretending to be a terrorist commander, our lead operator used a series of online conversations to gradually win her target’s trust. “In my experience, when people think of offensive cyber, they focus on the high-end of the spectrum involving computer network attack operations to destroy an adversary’s communication device,” the ASD head said. Many of the agency’s operations are far more subtle and sophisticated. These somewhat-less-flashy operations are “actually more representative of what offensive cyber looks like – highly targeted and proportionate actions, timed to precision,” he said. Burgess said his speech today was an effort to dispel myths about the agency and an opportunity to reveal how it operates — in part as part of the ASD’s efforts to reach potential recruits. The organisation earlier this year launched a recruitment effort for the position of assistant director-general military effects and network operations, which sits within the organisation’s Signals Intelligence and Network Operations division and oversees its offensive cyber work. Burgess said that the ASD’s offensive operations involve teams of experts, rather than a lone, hoodie-wearing hacker-genius, and the agency places a high emphasis on ensuring that its actions are “legal and ethical”.